This is a tutorial on how to round time in Excel. This can feel a bit tricky if you are not familiar with how Excel handles time formatted data. Now we can't just go ahead and use the ROUND function which might feel like the obvious choice. We need a different set of tools for this, because for Excel, data formatted as time behaves in a different way. Let's now pretend we have a random time, say 12:43 in cell A1. I want to round that time up to nearest 30 minutes (to 13:00). So why is accuracy 1/24? Because for Excel, one hour is 1/24. So if you want to round to nearest full hour, you use 1/24 as "significance". If you want to round to nearest 30 minutes, you use 1/48 as the "significance". 15 minutes would be 1/96. You want to round time in cell A1 up to nearest 30 minutes. What do you do? If you want to understand more on how Excel handles time, you can join our Excel Essentials training course. For those who want to go deeper into Excel's advanced features, the Advanced Excel course is for you. That's it for this tutorial, I do hope you enjoyed it! Until next time! 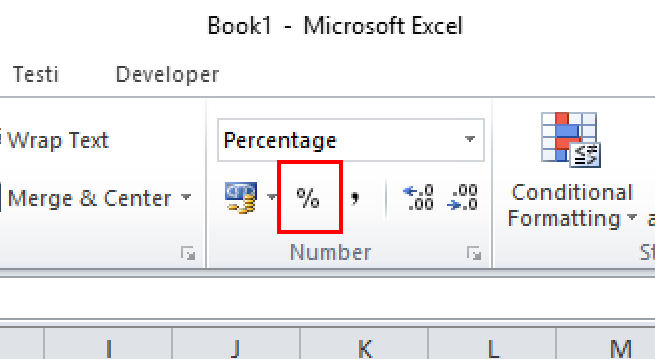 This is a Microsoft Excel training tutorial on how to calculate percentages correctly in any version of Excel. Lean three cases you can use for all situations and learn how to calculate percentages correctly in Excel. This is a quick tutorial on how to replace characters from a text string in Microsoft Excel. The substitute function is a very useful tool for replacing characters or words from strings of text. Here is an example how to use substitute to replace unwanted characters or words from a text. This is a quick tutorial on how to combine first name and last name in Excel. You can use it to create email addresses from a list of names for example. To combine strings of text or values in cells we can use the CONCATENATE function. This is a tutorial on how to round time in Excel. This can feel a bit tricky if you are not familiar with how Excel handles time formatted data. Now we can’t just go ahead and use the ROUND function which might feel like the obvious choice. We need a different set of tools for this, because for Excel, data formatted as time behaves in a different way.